Born in Tehran, Bijan Sepanji is a multi-faceted performer and educator who is based in Toronto, Canada. As a member of the Ton Beau String Quartet, Bijan regularly performs new compositions by up-and-coming composers as well as standards from the classical repertoire. This past season, Bijan performed a number of concerts and gave masterclasses with TBSQ in Nashville, TN and Chicago, IL. In addition, Bijan also performed a violin recital and offered workshops in his hometown, at the University of Tehran as part of a composition competition for the students of the university. with Indianapolis and Kitchener-Waterloo symphonies, as well as with London Symphonia, Hamilton Philharmonic and the Toronto Concert Orchestra. While at Indiana University, Bijan's interest in string pedagogy led him to study with Mimi Zweig and Brenda Brenner, two of the most respected string pedagogues in North America. Bijan's teaching principles are based on the wealth of knowledge acquired during his studies in Indiana, as well as the Suzuki Training Program he attended in the summer of 2018. 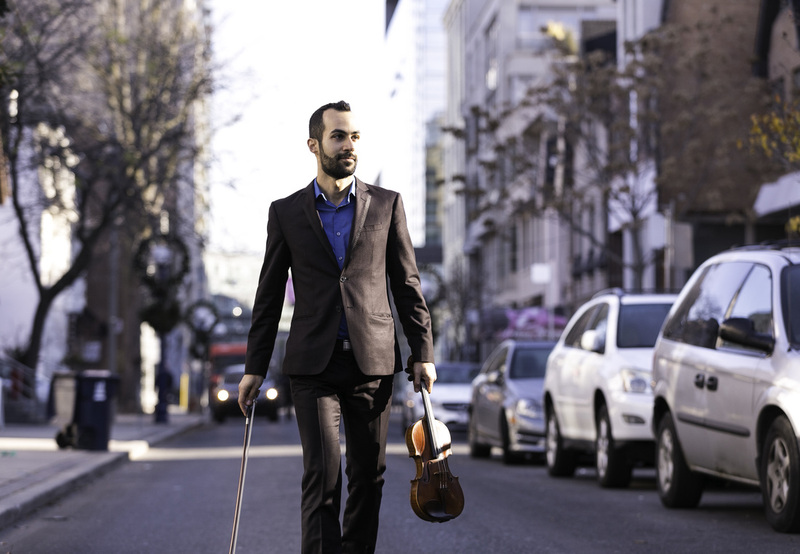 This knowledge, and a decade of teaching ​violin has allowed Bijan to quickly become a very effective and highly sought-after teacher in the Toronto region. He is a certified Suzuki teacher and a member of the Suzuki Association of the Americas (SAA) and well as the Suzuki Association of Ontario (SAO). Bijan is also involved with the Mooredale Youth Orchestra, conducting and working with the junior strings division and preparing them for three diversely programmed concerts a year.